Nature photographer Kjell Bloch Sandved has amassed a massive collection of butterfly and moth wings, capturing a host of unusual patterns. Using those patterns, he has assembled entire butterfly alphabets. 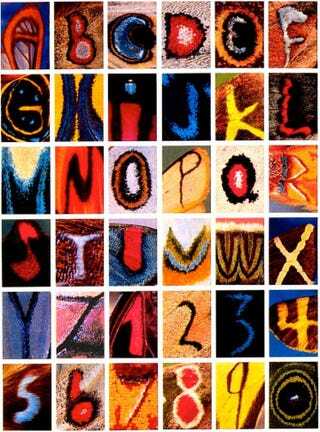 This is just one of Sandved's alphabets; he has a second butterfly alphabet and a more varied nature alphabet. He has posters of the alphabets available on his website, but he also sells custom prints that let you spell out names or messages in butterfly wings.